Many a times, despite having knowledge about various matters of religion, we are unable to attach ourselves with religion spiritually; we do not feel that connection when we offer salah and engage in recitation. In this course, we are trying to re-establish that connection with our Creator and fill our hearts with His love. If we whole-heartedly do this and complete all the weekly activities, inshaAllah, it will become a life-changing experience. Let's begin this journey of love together. The course is a unique combination of talks by scholars with diverse backgrounds and tonnes of knowledge. 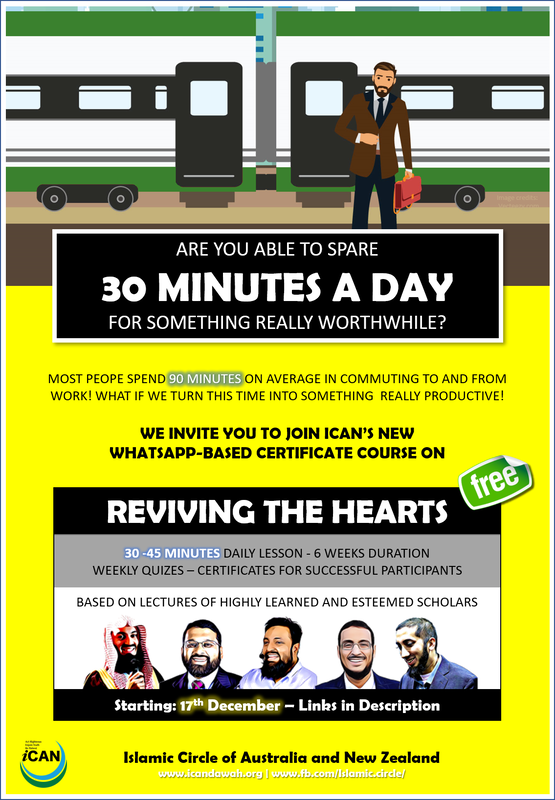 InshaAllah the course attendees will hugely benefit from this unique opportunity. InshaAllah course notes will be sent on daily basis. However, following additional material can be utilized for further information. It is also to be noted that we cannot cover all the aspects of this topic in the six weeks that we have. Students should accordingly make an effort to further their knowledge and contemplation after the completion of course too. Quiz for week 3 is merged with quiz for week 4. Quiz for week 5 is merged with quiz for week 6.